I first became acquainted with Solo Build It! by a friend (thanks Greg) who already owned a few sites. He explained that the program could allow me to create a web business around my passion, remain at home with my children, and still earn an income to supplement our current income. I was immediately interested but didn’t take any action for over a year. I wish I had acted sooner but that's in the past now. During that time, I started working outside the home as a closet/garage storage solutions designer for an Atlanta-based company and absolutely loved my work. But, eventually, it started to clash with our family schedule because I was away from home too much. So, Greg continued talking about his SBI sites that he enjoyed, how he could set his own hours, devote as much or as little time to his work, and was beginning to earn an income from placing ads on his site. I became even more interested and we decided to form an alliance. I started writing articles for his site to get a feel for what I ultimately hoped to do for myself…which was to have my own profitable website based on a passion of mine. I continued writing for him throughout the next school year and then, in December, I decided to take the plunge, a mere $299.00 I might add, and sign up with SBI myself. What a fantastic decision that has been. 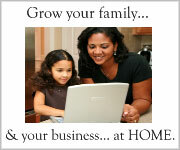 I am working from home to create my own Internet business surrounding my passion for education. SBI has helped develop that passion into an enjoyable, work-at-home opportunity. I could go on but their home page can do a much better job of detailing the benefits of this wonderful Internet business. As a stay-at-home mom who elects to home school her children, SBI has been a blessing in my life. I love writing, the Internet, and teaching others that they may teach their children, too. Site Build It has given me this platform to create a business that employs my passion and shows me how to develop it into a successful opportunity without leaving my family. I have a second site already planned and maybe more to come. The tools and strategies provided by Site Build It work for me and will work for you too!